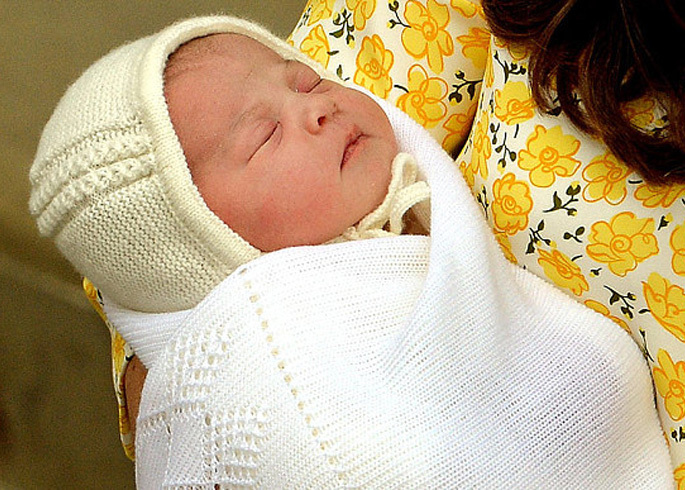 From dummies to cuddly toys, a royal princess deserves only the best. Here at WRBW we're having serious Charlotte withdrawals, so we thought we'd do our round up of the most princess-worthy accessories that we think Charlotte would love. A solid silver comb, anybody? 1. Steiff Classic 1920's Bear - We can only imagine how many toy's the princess will be receiving from family, friends and well-wishers, but this classic Steiff bear is truly special. An iconic brand best known for their special collection of teddy bears, a Steiff bear is one that Charlotte will treasure forever. 2. 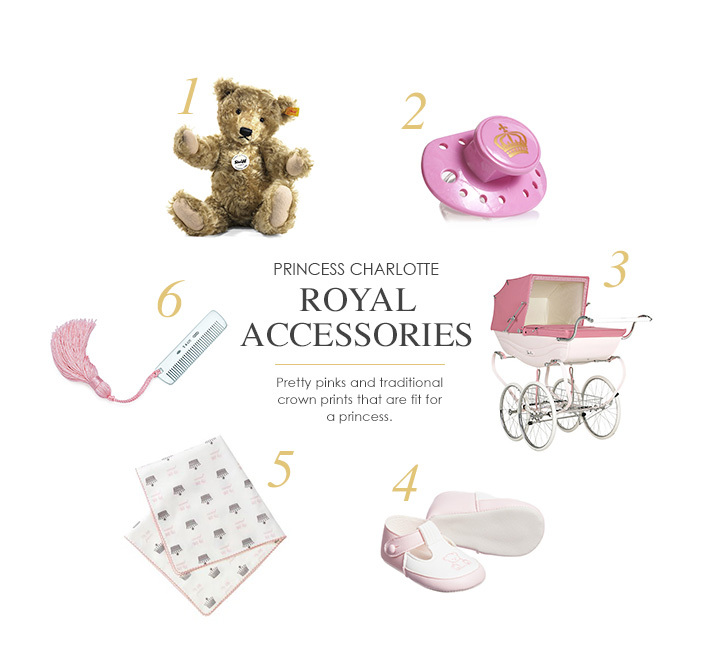 Elodie Details 'Petit Royal' Dummy - Even the simplest of Charlotte's accessories should receive a royal stamp, and nothing says 'royal baby' quite like a crown print dummy! 3. Silver Cross Balmoral Pram - Combining the royal family's love of all things traditional with a cute, baby pink finish, this luxurious vintage-inspired pram is perfect for walks with mummy and daddy through the park or around the garden. 4. Early Day's Teddy Bear Pre-Walkers - It's no secret that Will and Kate love dressing George in a pair of Early Day's pre-walkers, so we can only assume Charlotte will soon be receiving a pair. How cute are these pink and white teddy print shoes? So adorable! 5. Rachel Riley Crown Print Blanket - With lots of royal appearances on the horizon, a cosy blanket will be a must-have for outside meet and greets and travel days. We love this cosy cotton blanket from Rachel Riley, printed with their iconic crown print. 6. Tiffany & Co. Silver Baby Comb - With her mother Kate perhaps best known for her beautiful hair, we have no doubt Charlotte will inherit the same flawless locks. A luxurious silver comb from iconic designer Tiffany & Co will ensure her hair receives the royal treatment - when she eventually grows some, that is!